Today, more and more people are accessing the internet on their smartphone and tablet devices. This is mainly because mobile devices are convenient to use wherever you are and whenever you want to. 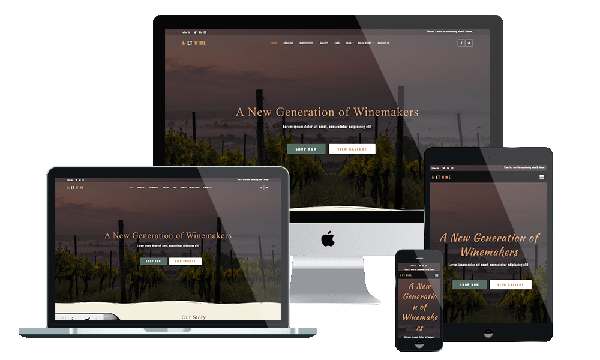 In this generation, any business should have a website that’s designed for both desktop and mobile users to stay current with the development of technology. Check our latest fully responsive CMS themes created with modern browsers and mobile devices in mind. 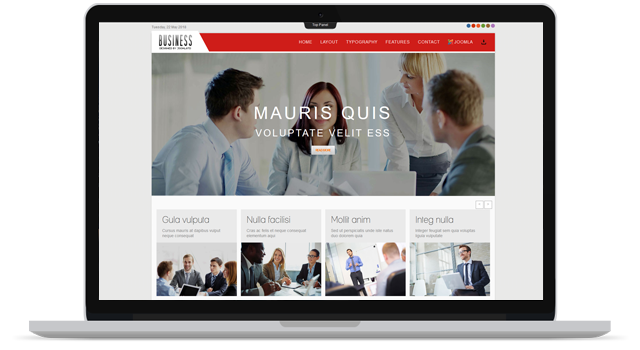 Fully responsive Business WordPress theme, suitable for small, medium, and large businesses. This is a cutting-edge theme that looks great on all devices and is one of the fastest themes ever created. Enjoy Power page builder with Visual Composer drag-and-drop functionality and craft layouts of any kind, switch widgets, content modules, static and dynamic elements. When you create a design from scratch with Visual Composer or edit a finished design, you have almost unlimited possibilities. Everything in this theme is easy to use. To create pages, such as a preview page, it takes only one click. And then just use the drag and drop editor and the content on your web pages can be easily created and edited. 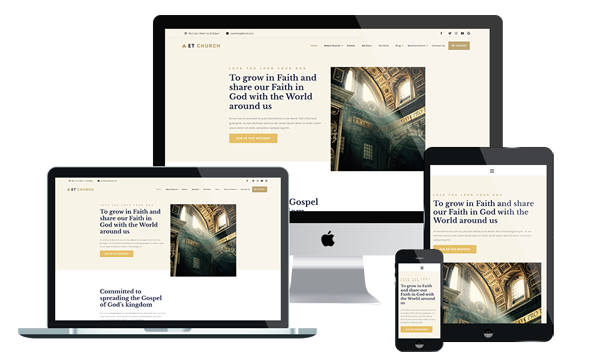 ET Church is a professionally designed Church Joomla Template which is specially tailored for both religious web templates and religious flash templates for churches, religious organizations, faith-based groups, and religious not-for-profit businesses. Joomla Church Templates is well-developed on Bootstrap, unlimited module position, strong shortcodes assist you present content easily. It comes with 4 color styles build-in HTML5 and CSS3, but really customizable, drag-drop tools and color settings are also integrated to help you create an awesome website with gorgeous view and various layouts. This template perfectly render the spirit of love and kindness due to their neutral designs and thoroughly selected imagery. Entering your website, parishioners’ souls will fill with peace and serenity. Your website will adjust to the screen of any device, so all users will be headed to the same looking website. This will help you reach wider audience. We are always happy to assist different religious communities with our religious web templates, enhancing their online presence. 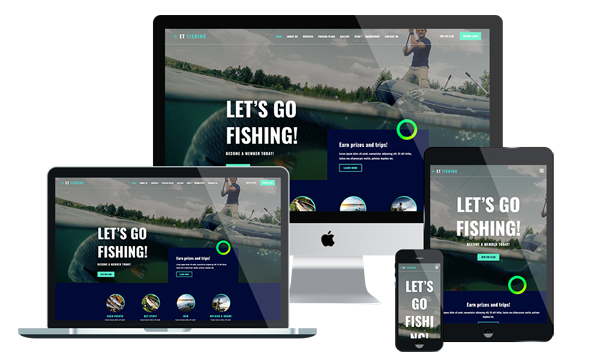 ET Fishing is Responsive Fishing Joomla template which can help you make the best website possible to fit your business. Whatever your specific needs are, our fishing joomla templates free has the perfect match: Sea fishing website themes, fishing gear website templates, and more! The Fishing Website Templates designed by a crack team of expert web developers, it will make your business stand out from the crowd. ET Fishing builds with latest Bootstrap CSS Framework, Support Font Awesome and K2 extended style, Events & Calendar Management Extensions for Joomla!. Pick from the available colors and Google Fonts to reflect your unique style. Make a splash with a gallery of our free high-res stock photos, or upload your own. Sleek parallax scrolling effect and other responsive animations will make your website appealing to all your clients. Fully customizable and highly responsive, they’re tailored for the needs of business professionals. Morever, fully customizable and highly responsive, they’re tailored for the needs of business professionals. SEO-friendliness, cross-browser compatibility, and social media integration will help you get your online venture noticed. Outfit your business for success with our Fishing Website Templates today! Want to develop a reliable reputation for your loan company online? LoanOffer is Finance WordPress Theme created specifically for loan, insurance and investment companies. Whether you need a landing page for your product/service, business card page site or a simple yet remarkable presentation of your company on the web, this theme has got you covered. Designed in a clean style and formal color scheme, this theme offers dynamic solutions for growth hackers, uniting professional feel and modern look. The abundant UI kit includes all necessary tools for building a powerful and flexible online platform. Involve all content that you need and implement your best ideas with Apply Loans, Loans Calculator, Testimonials, Blog, contact form, maps, video and image slider. Enjoy power page builder with Visual Composer drag-and-drop functionality and craft layouts of any kind, switch widgets, content modules, static and dynamic elements. If you need to adjust the design to match your corporate identity, make use of the multiple header and footer options, including a wide range of hues and fonts. Turn your site into a money-making machine with this WordPress Theme. 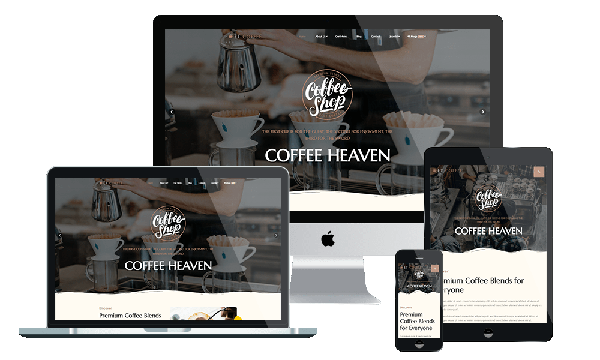 ET Coffee is Responsive Shop Joomla template that targets for coffee shop website template or restaurant website templates. This gorgeous Coffee Website Templates will help to put your business online and share it on social media. Each theme is responsive, allowing you to target more people and they come pre-integrated with social options. This helps viewers to share your pages and products via social media, thus improving your presence and reputation in the online world. Coffee Website Templates are extremely simple to install and configure, and they don’t require a big amount of money and time investment. It also builds with latest Bootstrap CSS Framework, Support Font Awesome and K2 extended style. Furthermore, it comes with 4 color schemes helping to create excellent websites with various layouts. Take your website to the next level now with a low cost, professional Joomla Template for your coffee shop site. ET Plumbing is Responsive Handyman Joomla template that targets for plumbing services. Plumbing website template also builds with latest Bootstrap CSS Framework, Support Font Awesome and K2 extended style. 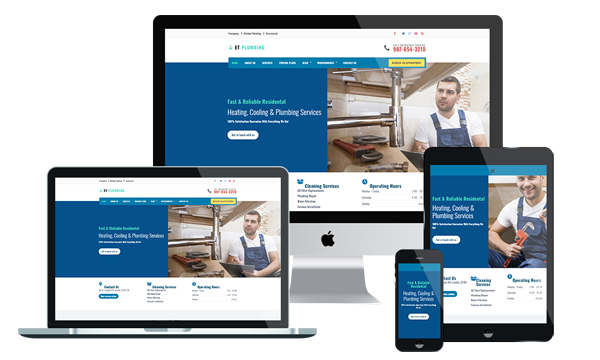 This template is 100% responsive design, anyone with these templates can present their best plumbing services in one go. It gives your customer a chance to explore other things that you also offer, which makes it easier for customers to head off to your website on their mobile devices so they can call you for help even when they’re on the go. Furthermore, it comes with 4 color schemes helping to create excellent websites with various layouts. Show your clients everything they need to know about your plumbing services using these ready-made templates. Responsive multipurpose free business joomla template based on Bootstrap framework. The Bootstrap Framework makes it fully responsive to all screen resolutions and aspect ratios. Moreover, thus it carries a lot of useful features, for instance additional HTML elements, set of CSS components, grid system and much more. Multipurpose free Business Joomla template based on Bootstrap framework, the Bootstrap Framework makes it fully responsive to all screen resolutions and aspect ratios. The template comes with fully collapsible 65 Module positions, 6 predefined color styles red, blue, green, yellow, brown and purple, background color and pattern change from template parameters page.